Extinction Rebellion is making quite an impact – it only launched in November last year, and since then large numbers of people have supported non-violent direct action in London, other UK locations and countries across the world. It seems to have struck a chord with a great many people, who have run out of patience with a system that has failed to tackle climate change and the threat it presents to humanity. 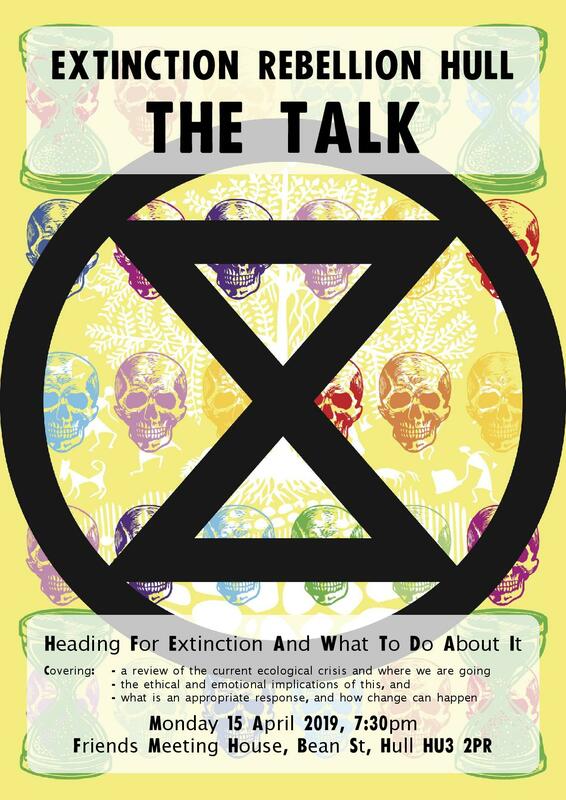 The talk will provide an opportunity to hear what’s behind this new social movement, and will take place on Mon 15 April 2019 which is the start of International Rebellion Week when direct action will be taking place on a significant scale. The talk includes a brief review of the current science and some of the latest data, with particular relevance to Hull. It looks at some ethical implications, considers movements of social change, and suggests how we could act in response. The talk is FREE, open to all, and refreshments will be available. 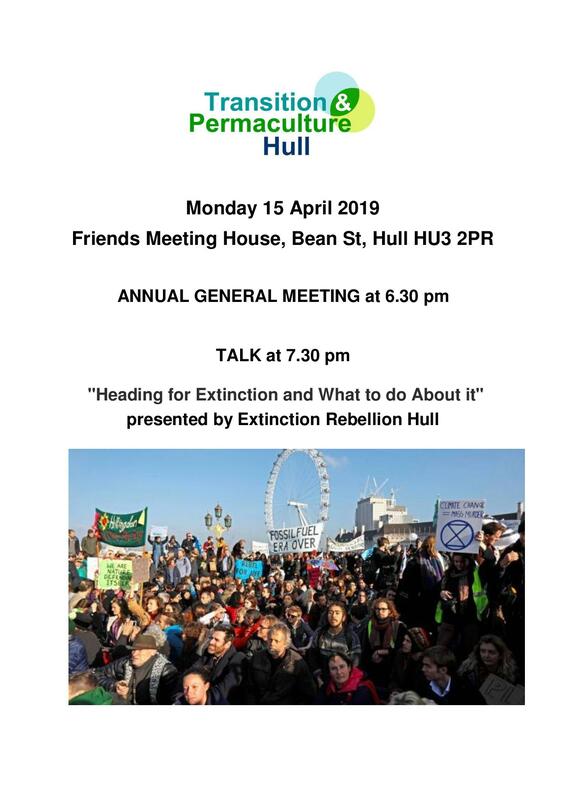 Transition & Permaculture Hull members are invited to attend the Transition & Permaculture Hull AGM at 6.30 pm on the same evening at the same venue.